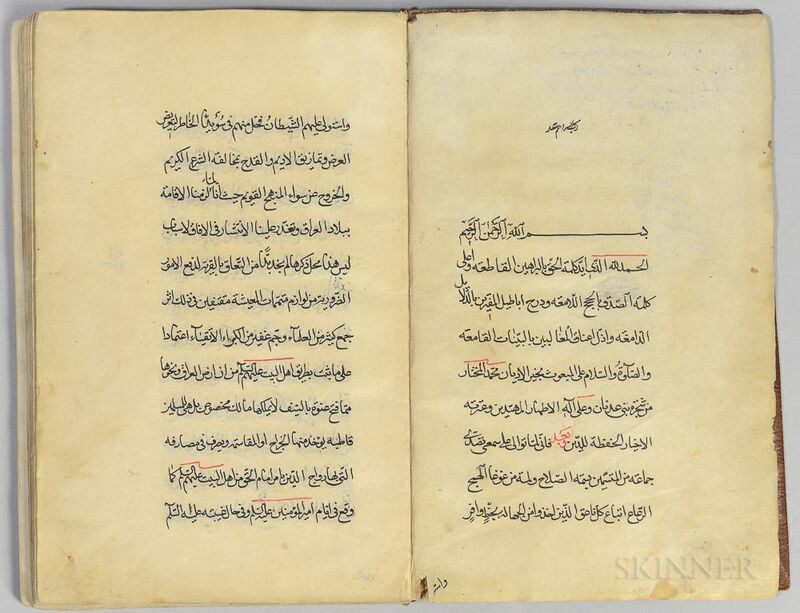 Arabic Manuscript on Paper: Three Texts Bound Together. 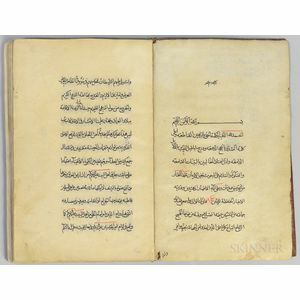 Arabic Manuscript on Paper: Three Texts Bound Together. Including: Rasael (Treatises on Research) by Sayyed Hamed Bohrani, called Resale al-Tahqiq; Javabat' al-Sael (Answers to Questions), by Sheikh Tousi; [and] Ajuba Baze Masael (Answers to Some Questions by Mohaghegh Thani), text on polished laid paper, in black and red ink, approximately twelve lines per page, approximately 130 leaves, bound in full limp leather, 8 1/2 x 5 1/2 in.